A true Southerner at heart, Dr. Mark K. Hodges practices medicine in his field of Pulmonology with a unique understanding of people, their concerns, needs, and hopes. Before making Baton Rouge home with his wife Cindy and their two children, Dr. Hodges lived his childhood and young adult years in Alabama. He earned his B.S. from Auburn University in 1977 and his M.D. in 1981 from the University of South Alabama. Staying south, he performed his medical residency in internal medicine and then became Chief Resident at the University of South Alabama from 1984-85. Briefly leaving the south, he earned a Pulmonary fellowship at Beth Israel Hospital and Brigham and Women’s Hospital through Harvard Medical School in Boston, Massachusetts in 1988, the same year in which he joined The Baton Rouge Clinic and once again moved south. With nearly three decades of experience and continuing education in his field, Dr. Mark K. Hodges is board certified in Internal Medicine and Pulmonary Medicine and carries licensure in the State of Louisiana. He is a member of the American College of Chest Physicians and the Louisiana State Medical Society. He has also served on the board and as President of The Baton Rouge Clinic. In addition to his practice areas, Dr. Hodges specializes in the evaluation and treatment of lung diseases (i.e., asthma, chronic obstructive pulmonary disease, cancer, and inflammatory disorders) and also sees patients with pulmonary hypertension, sleep apnea, and related disorders. 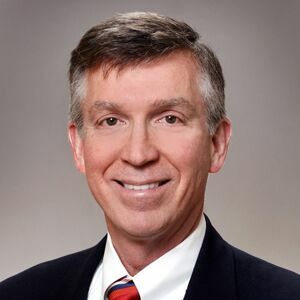 When not practicing medicine, Dr. Hodges, Mark to those who know him, enjoys time with his family, sailing, gardening, returning to his roots along the coastal Alabama shores, exercising, and more recently, kayaking and paddle boarding. He believes lifestyle is a crucial factor in our lives and encourages his patients to be a partner in improving their health.